Harman International on Monday announced the launch of its latest premium speaker, the Harman Kardon Allure, in India. The speaker comes with Amazon Alexa support and was first unveiled globally at IFA Berlin in August. The Harman Kardon Allure offers hands free and voice command-controlled access to Amazon's Alexa voice assistant. Like on other devices, you can ask Alexa to do tasks like play music, read the news, tell a joke, and make purchases on Amazon.in, or use any of the other 11,000-odd skills. 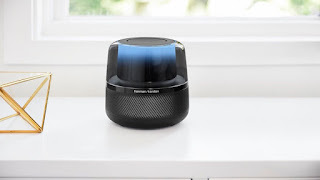 The Harman Kardon Allure is also equipped with proprietary, far-fetched voice technology that lets the speaker hear your voice commands in noisy environments. Amazon Alexa was officially launched in India in October this year. The service brings dozens of India-specific skills from sectors like Travel (Uber, Ola, Goibibo, Jet Airways), Food (Faasos, Box8, Freshmenu, Zomato, Tarla Dalaal), Sports & Entertainment updates (Amazon Prime Music, Saavn, ESPNCricinfo, Bollywood Hungama), News and Education (Times of India, NDTV, ABP Live, AajTak, Byju's), and Home Services (UrbanClap, Housejoy) among others. 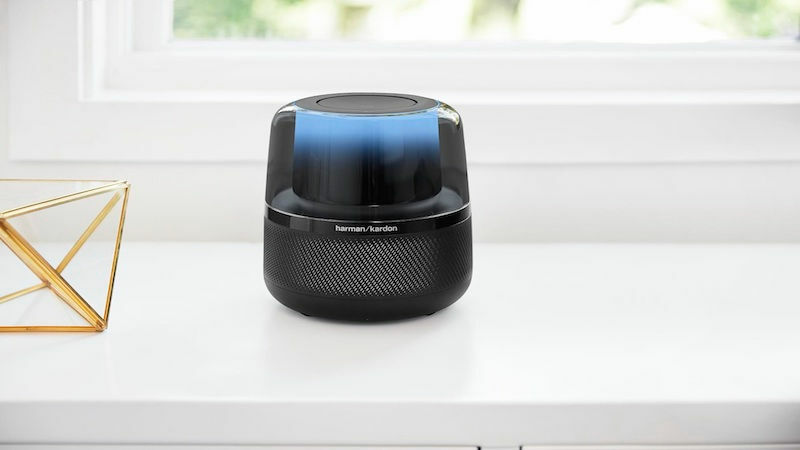 Harman claims that the Allure speaker produces 360-degree sound that is made possible by transducers and built-in subwoofers. The built-in 360-Degree, multicolored lighting adapts to surrounding environment to help the speaker blend in. The Allure has Bluetooth v4.2 for connecting to mobile phones and other devices. It has been priced at Rs. 22,490 and will be available exclusively for Prime members via Amazon.in starting today. "We're excited to launch this much sought-after product in India. Ever since its launch at IFA in August - we have seen tremendous interest and demand for the Harman Kardon Allure from our Indian customers. Research shows the number one use of digital voice services is music streaming and Allure with its premium sound quality, iconic design, and exceptional voice-enabled technology, will produce a spectacular sound experience while delivering on our promise of elevating a connected life through smart technology," said Sumit Chauhan, Vice President - Lifestyle Audio Division at Harman India.